I’ve seen plenty of toilets up close, recently in my fieldwork among migrant workers in Gurgaon’s urban villages and unauthorized colonies as well as over the last few years of working with micro Home Solutions in low-income areas across Delhi. 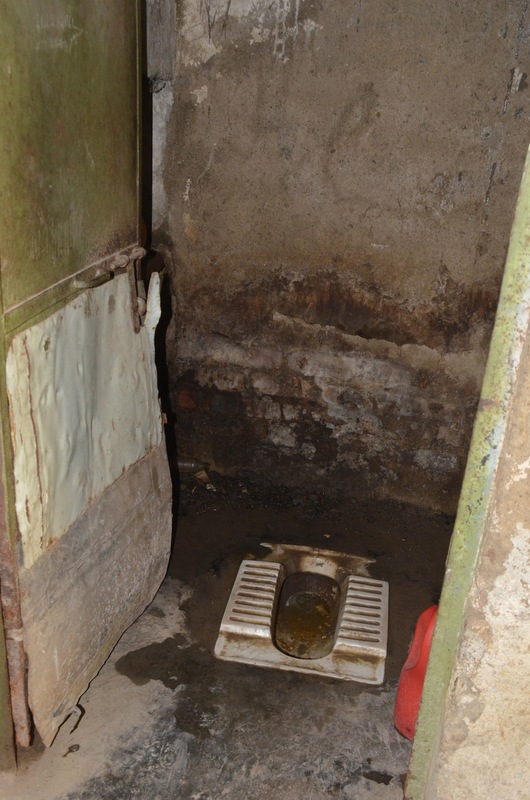 Adequacy as well as maintenance of toilets is a huge issue in slums and other informal areas . Various experiences have shown that shared toilets are very hard to maintain (see post on the pathetic state of toilets in a Delhi slum); yet, it can be nearly impossible to retrofit communities to provide toilets for every household. One thing is clear though. Household toilets are the Number 1 aspiration for low-income families across India, whether urban or rural. Deeply connected with dignity and security, especially for women, and also now implying status, households seek to install toilets as soon as they have sewage connections and funding in place. But what about those without any secure tenure? Renters, for instance. 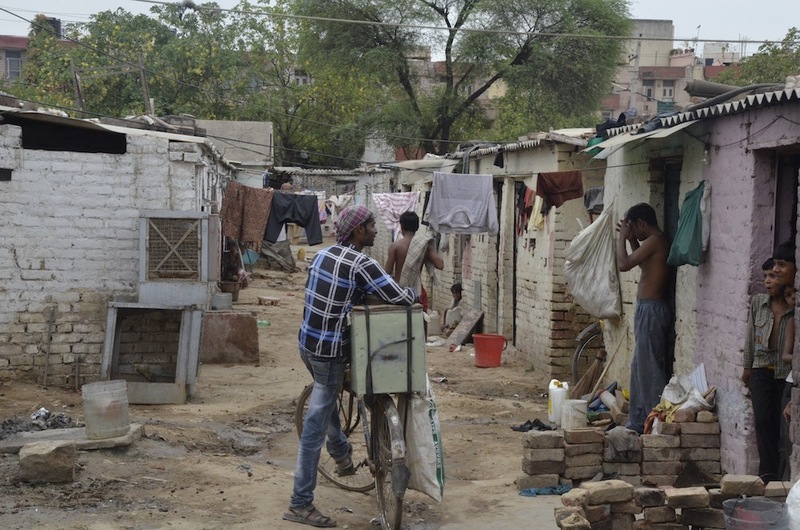 In Gurgaon, I find migrant workers living in semi-permanent shacks or relatively permanent tenements sharing a toilet between 10 or even upto 20 households! Toilets with broken doors, inadequate water supply and barely any maintenance are common in these jhuggis and tenements. However, contrary to the perception that it is single male migrants that live here and accord low priority to sanitation, I found at least half of these homes occupied by families, with women and children suffering acutely because of the poor sanitation facilities. Unfortunately, a relationship of deference and almost fear with the landlord coupled with the peculiar migrant mindset of transition combine to make demanding better toilets a difficult proposition. Migrant workers who live in more upgraded rooms that offer more privacy share their amenities among 8-10 families and are better able to negotiate better maintained toilets and baths with their landlords. 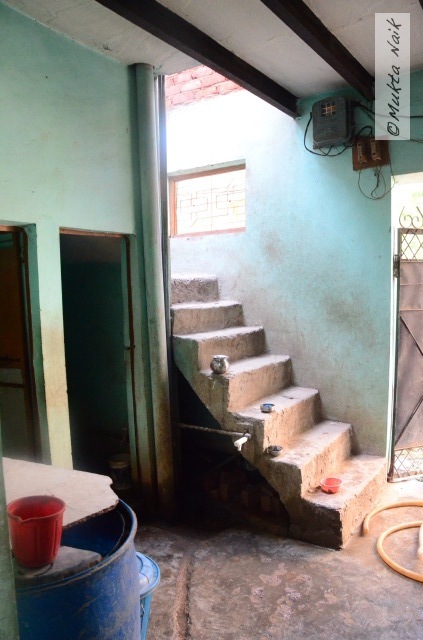 Often, improved sanitation combined with a perception of improved security (very linked, those two) become the reason for families to opt for moving to a better rental accommodation. However, as a researcher, what strikes me most is that, despite the whining about sanitation, renters consider poor amenities as part of the deal. They live in the hope that improved income and better circumstances will given them more negotiating power to change these aspects of their lives. But for the present, many women told me that they are fine with the sharing of toilets with strangers, with the waiting for their turn as per their time of work, even with the poor maintenance! They said that conditions in their village were often worse; others said they lived in better conditions back ‘home’ but understood that poor sanitation was the price to pay for the opportunity to live and work in the city. Access to sanitation, and its strong relationship with dignity and safety, is an important lens through which to understand the integration of the urban poor in our cities. In the context of internal migration, the denial of the basic aspects of citizenship to migrants creates a psyche of helplessness and illicits that shrug, that sense of resignation that I find so frustrating. Because the government buckets private informal rental housing as illegal and no standards and bye-laws are implemented in this context, it is easy for landlords to turn a blind eye to this issue. A dialogue that involves civil society (representing migrants), private landlords as well as government is important to arrive at ways and means by which an increased awareness of the importance of sanitation is created, where the migrant is given a human dimension as opposed to a sub-human one (yes, this is often the case! ), big infrastructure to make improvements possible are put in place and new efficient means for operations and maintenance (best practices) are shared and implemented. Water tales: Drowning and thirsty at the same time! Water is on my mind these days. how can it not be, when some parts of our country struggle to deal with floods while millions of others depend on erratic and expensive sources of water to survive! To top it all, we have a roof leaking at home and, as gathering clouds strike fear in my heart, I am reminded everyday that water finds a way to get in everywhere. And become the heart of many a problem. Clearly, India is at the brink of a gigantic water problem. We know it. A recent study by the Earth Policy Institute warns us of food supply problems because of overdrawing of water for underground aquifers, dropping water tables, contaminated water sources…a bleak picture with India being one of the regions most certainly at risk. “India has a regulatory vacuum with regard to groundwater, and it is a free-for-all market when it comes to extraction and pricing.” writes Saritha Rai in her article in The Forbes that highlights the risk posed to businesses from water scarcity. This was brought home to me today this morning when I was interacting with a private landlord who builds and rents out units to migrant workers in Gurgaon’s urban villages. I am neck deep in research to figure out ways in which the private informal rental market in the city’s urban villages and illegal colonies (link to HT article in which I was quoted, on this issue) can be catalyzed to be a legitimate and thriving source of rental housing supply in Gurgaon. Interestingly, while local landlords do not consider policy as a hurdle, choosing to stay outside the ambit of government surveillance with the freedom to do as they will, it might be the need for water that will push landlords towards seeking alliances with the government. Just like independent electrical meters help landlords track usage and allow them to charge for power separately from migrant tenants over and above rent, there are moves to meter water and pass the rising costs of water to the tenant as well. Landlords do fear that their ‘fail-proof’ rental business will, despite all their innovations and adjustments, meet its nemesis in water! Dark clouds loom outside today. Rain threatens and my home also gears up to meet some aquatic challenges! Are we destined to drown in water without having any to drink?